Shape Up App has Gone Free! Looking for a visual motor integration app focusing on basic shapes? Shape Up is a recently developed app that provides a cute story with activities that focus on creating geometric shapes. Appropriate for preschool to early elementary aged students, Shape Up focuses on drawing shapes with 3-4 straight sides (trapeziod, square, rectangle, triangle, diamond) with targeted posts to draw on. 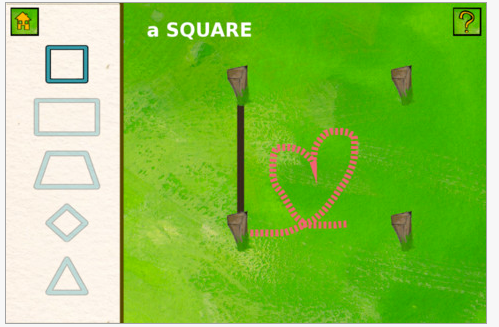 Along with a cute story that goes with the concepts of shapes there also is a simple “find the difference” activity. Simple, but nicely presented, this app provides an opportunity to work on visual motor integration. Gone Free, this app is compatible with iPad, iPhone/iPod. A nice little app to add to your OT iTool Kit. 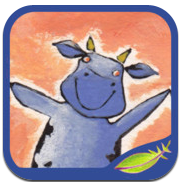 This entry was posted in App Reviews, Apps for OT's, Early Childhood, Fine Motor Development, iPad, iPhone, iPod, Occupational Therapy, Uncategorized, Visual Motor and tagged App Review, iPad, iPhone, iPod, occupational therapy, OT Apps, Visual motor apps. Bookmark the permalink. 2 Responses to Shape Up App has Gone Free! Many of the apps gone free are free for only a day or two at best! Sorry, sometimes they come around “freed” again!